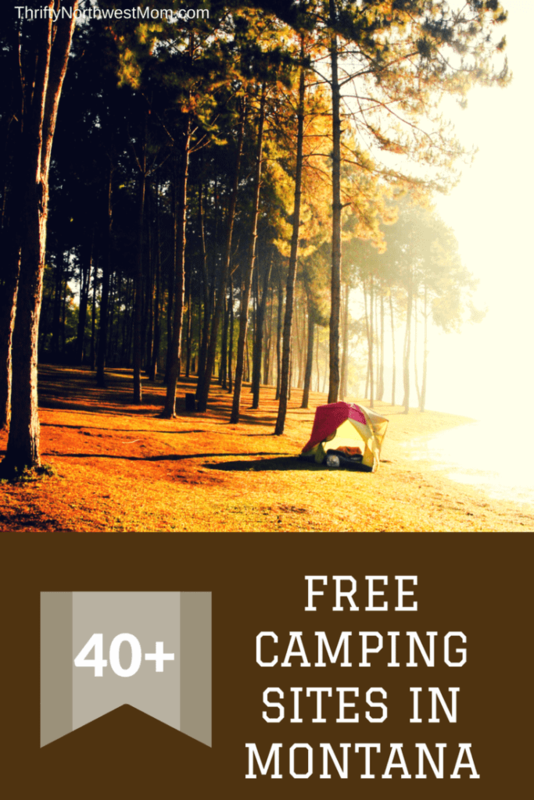 We are continuing our free camping sites series for locations around the Northwest & beyond. 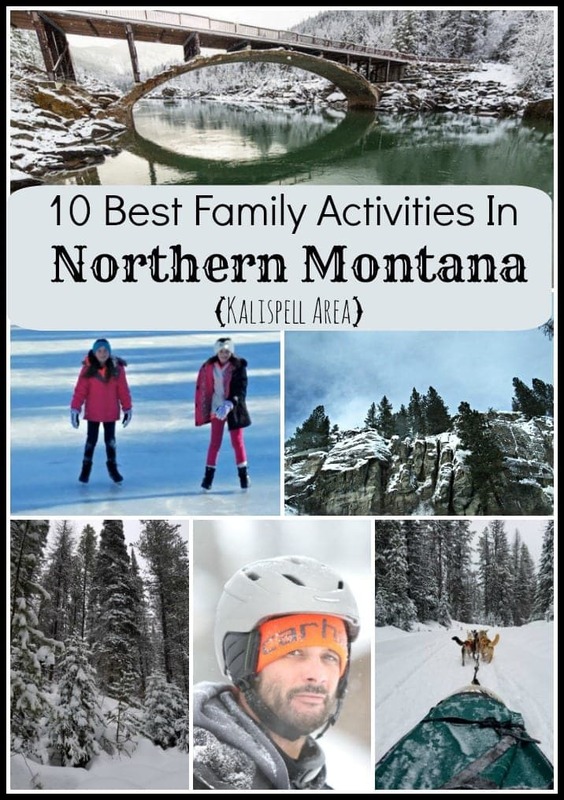 Montana is such a popular spot to visit for those in the Northwest & other areas of the country and there are a number of places you can camp for free in Montana with tent camping or RV camping. Whether you want to camp in more open spaces to experience the wonder of Big Sky country or head to the mountains or camp by a river, there are so many options of places to camp for free in Montana. Remember that when you go camping for free, these are typically available first come, first serve and they usually have very limited or no amenities like water, picnic tables, flush toilets, etc. But if you’re willing to “rough” it & just bring the supplies you need ahead of time, you can find some great, out of the way spots & make some amazing family memories on a tight budget. We’d love to hear all of your suggestions & tips on where you’ve found great free campsites in Montana & if you have any reviews or tips to share about any of these locations we’ve found. We have just featured a highlight of free campsites that are found in Montana, but there are many more that are available. Here are some of the resources we found for finding free campsites in Montana for you to see if there are more options in an area you want to check out. Campendium Website – features free campsites for across the US & Canada plus reviews from readers who have gone to these campsites. This is more of a community -driven website, so you may want to try to confirm these locations with another website as well. This blog post also has some great tips for boondocking – camping with your RV in free camping spots. Forest Service maps of specific National Forests – this will give you more specifics on areas where you can camp for free in those locations. National Geographic BLM (Bureau of Land Management) Maps – it is free to camp on BLM lands, but it has gotten much harder to find this info on the BLM website, so you can buy these ahead of time or find a BLM office for the area you want to camp in & pick them up. If you have more flexibility in your schedule if you are retired, homeschool, etc – being a campground host might be an option for you. Typically you can get free (or reduced in some cases) rates to camp in exchange for being available to help & answer questions for the campers. The minimum stay is typically one month, though, but this might be a fun option for the summertime if you plan ahead. You can find available campgrounds that need hosts and all of the information needed to apply to host in Montana on the Montana State Park website (look under “Park Host”) or Glacier National Park website. You can also see a list of Park Hosts needed for the entire US, especially for National Forest service campgrounds – just head down to Montana to see the current needs. 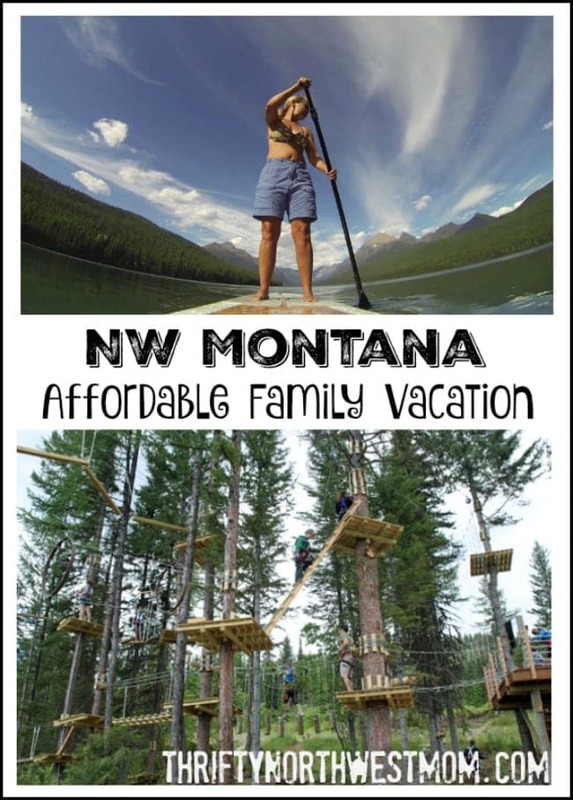 Let us know if you have other ideas of ways to get discounts or free passes for camping in Montana! You can find free campsites for RVs on any public lands in Montana that are managed by the USDA Forest Service or the Bureau of Land Management. The Dillon Field Office of the BLM can direct RV campers to remote and adventurous locations. Use a map as much of the dispersed/free camping in Montana is located on a map. You can find all of the maps and information by visiting the website for Montana Bureau of Land Management. Always use existing fire rings; do not build new areas for fire. Trash services are scarcely provided. Be prepared to take out any trash you bring in. Be aware of bears and other animals. Proper food storage is a must when camping. If restrooms are unavailable follow the proper guidelines of restrooms in the woods. You may not camp within 100 feet of a lake or stream in a national forest. More tips about free/dispersed camping in Montana can be found here. Red Meadow Lake Campground – Polebridge, MT – This camping area has 6 sites that are used for both RV camping and tent camping. RV length can be no longer than 32 feet. There is no water available but there are vault toilets on site. Stay for a maximum of 14 days. Dunn Creek Campground – Libby, MT – You may tent camp here or camp in an RV that is no longer than 35 feet. There are bathrooms available that are maintained daily. Picnic tables and fire rings are also at each campsite. Big Eddy Campground – Heron, MT – This campground is open year round to visitors and works on a first come first served basis. There are vault toilets but no potable water is available to use. There are 5 sites with fire rings and picnic tables. If you plan on RV camping the trailer length can be no longer than 30 feet. Island Lake – Marion, MT- This is a dispersed camp area only. Tent camping is the only option. There is no water, restrooms, or other amenities available. You are responsible for your trash. This is a great spot for wildlife viewing. Ashley Lake North Campground – Kallispell, MT – There are 5 campsites available for camp here. The sites have picnic tables, fire rings, and there is a vault toilet on site. There is also a small gravel boat ramp for water access. Graves Bay – Bigfork, MT- This is a dispersed camping area with 10 campsites available. There are no amenities at this campsite. Lindbergh Lake Campground – Seeley Lake, MT – You may camp at this location in an RV trailer up to 20 feet or a tent. There are restrooms on site, picnic tables, fire rings, and food storage boxes to use. There is no access to drinking water so bring some with you if you plan on camping here. There is also no trash service. Big Pine Campground – Superior, MT – There are 7 campsites available at this campground. You may stay up to 7 nights as well. Tents and trailer camping are both welcome. There are restrooms but no drinking water on site. Bailey Reservoir – Kremlin, MT- There are several campsites available here for camping. There is not any water for drinking but there are restrooms. You may stay only up to 14 days. This spot is frequented by fisherman. Fourchette Bay Campground – Malta, MT- This is a primitive campground. There are picnic tables, fire rings, and vault toilets. There is also a boat ramp for water access. Coal Banks Landing– Fort Benton, MT- This is a really large campsite of 5 acres of camping that accommodate both tent and RV camping. There are 9 picnic areas, 2 vault toilets, and 2 parking areas. There is also access to potable water. Lakeview Campground – Flathead County, MT- There are 5 designated campsites for this campground. You may camp in a tent or an RV up to 22 feet in length. There is no drinking water but there is a restroom for use on site. Slippery Ann Campground – Zortman, MT – The road into this campground is gravel. The campground is open year round but access is limited from late October through April. There are up to 29 spots for camping with RV access of up to 36 feet. There are vault restrooms and picnic tables provided. Stony Campground – Philipsburg, MT- This campsite has 10 sites available for tents or RV with a maximum trailer length of 32 feet. There is access to water and a vault toilet as well. You must pack out whatever you bring in as there are no trash services in the area. Timber Creek Dispersed Campground – Harlowtown, MT – This is a dispersed camping area for tent use only. There are no amenities available for camping. Blodgett Creek Campground– Hamilton, MT- This campground has 6 sites for camping here. There is a vault toilet on site and the campsites are on a first come first served basis. The road in is also gravel so off season access is limited. There is a vault toilet and potable water on site. Galena Gulch – Boulder, MT- There are 10 sites for camping here. There are tables, fire rings, restrooms, and a paved parking area. This location is open year round and you may camp here for up to 14 days. Cottonwood Reservoir – Wilsall, MT – This is a dispersed camping area only with access to vault toilets. This location is at the southern tip of Canyon Ferry. Stay here for up to 14 days. Flint Creek Campground – Anaconda, MT – This campground is open for ten camping and trailer camping. There are picnic tables and toilets at this campground. There are also no water or trash services provided. Handell Park – Mussleshell, MT- The road access to this campground is paved and there are over 25 sites available to camp. You may tent camp or bring your RV trailer. There are 2 outhouses on site and garbage cans for trash. If you are in an RV there is a place to dump and there is access to water. Baker City Campground – Baker, MT- This is a dispersed and primitive camping location. There is water access but no other amenities are available at this campground. Duck Creek – Fort Peck, MT- There are 15 primitive campsites available at this campground. Campsites do have fire rings and picnic tables. There are vault toilets and a boat ramp to access the lake. There are nearby stores as well. Crooked Creek Campground – Winnett, MT – The road into this campground in gravel so it is something to keep in mind if you plan on camping in the off season. This campground can accommodate tents and large RV trailers. Stay up to 14 days here with access to vault toilets, trash cans, and drinking water. Bean Lake Campground – Augusta, MT- This small campground is located at the bottom of Rocky Mountain Front. There are 8 campsites available and there are toilets on site. There is also a boat ramp that gives access to the lake. Stay here for up to 14 days. Medicine Rocks State Park– Ekalaka, MT – This site has free camping for RV’s with 12 semi-developed campsites available. You may also tent camp here and the park is open year round. There are vault toilets and grills/ fire rings at each site. This is a pack in, pack out location so be prepared to do that as well. This campground provides views of the Baker sandstone formations, so sounds like a beautiful place to camp. Beaverhead-Deerlodge National Forest – (8 Southwest Montana Counties) – These locations have 20 dispersed camping options available. You may tent camp or camp using an RV but the length would need to be verified first. This location has some good exploring opportunities around the National Forest. Ekalaka Park Campground – Ekalaka, MT- This is an ideal camping area for hunters, ATV riders, and other 4×4 adventurers. You may camp in this area using an RV or tent. There is not water available but there are 7 sites to use. You may stay 14 days and it is a first come first served basis. Vault toilets are on site. Sage Creek Campground– Bridger, MT- There are 12 campsites available for RV camping or tent camping. The RV trailer length can be no more than 30 feet. There are vault toilets on site but no potable water or trash services. Red Shale Campground – Ashland, MT – There are 14 campsites available with a 10 day maximum stay. There is no potable water or other amenities but there are vault toilets available. Holiday Spring Campground – Ashland, MT – There are 3 campsites here for camping in either RV of up to 30′ or tent. In the winter months accessing this campground is limited. There are no amenities available other than vault toilets. Elk Lake Campground – Lima, MT – You may tent camp here for a maximum of 16 days. There are vault toilets and picnic tables. This is also a pack in pack out location with no trash services but there is a small boat ramp for water access. Potosi Campground – Harrison, MT – There is camping here for tent and RV. There is access to drinking water during the spring ad summer months only. Vault toilets and picnic tables are on site. Clover Meadows – Ennis, MT- This area is for primitive camping only. There are a couple of picnic tables available and a vault toilet. You may camp here in either an RV or tent. Clark Canyon Reservoir – Dillon, MT – There are 7 free campsites that can accommodate both tent campers or RV camping. There is drinking water, vault restrooms, picnic tables, and fire rings available. There are also trash services. Woods Creek – Darby, MT – There is a paved road to access the 5 campsites here. There are no amenities available but there is fishing in this location. Bryant Creek – Wise River, MT – This area is for dispersed camping only. You may camp in a tent or an RV. There are no amenities at all for this camping area. Initial Creek – Nye, MT- There are 6 campsites available here that can be for tent or RV camping. Your RV can be no longer than 20 feet. Stay up to 16 days here. There are no trash services but there a few bear resistant food lockers. This is not a maintained campground so off season access is limited. No bathrooms are available. Cliff Swallow – Fishtail, MT- This area does permit camping for up to 7 days. Toilets are on site and there are options for ten and RV camping. This campsite is open year round. Bull Springs– Roberts, MT – Camping here is open seasonally. There is an option to camp in a tent or an RV trailer for up to 7 days. There are no amenities for this campground. Battle Ridge Campground – Bozeman, MT – This campground is close to Yellowstone National Park. There are 13 campsites available that accommodate tent or trailer camping. There are also restrooms, picnic tables, fire rings, and drinking water on site. Camp here for up to 16 days and this is a pack in and pack out site. Toston Dam Recreation Site – Toston, MT – This campground is halfway between Helena and Three Forks. There are 7 campsites and the campground has picnic tables, grills and toilets, as well as a boat ramp. Great campground to have access to fishing and boating.